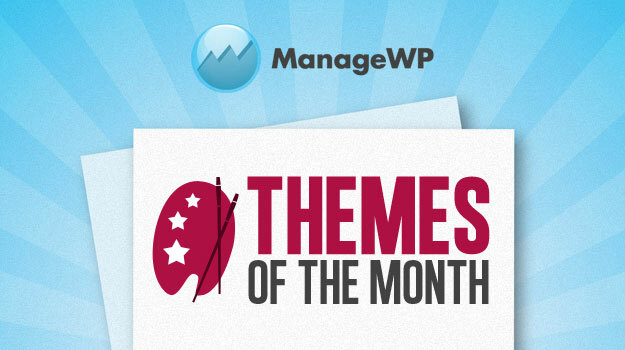 You may have noticed that we have been covering themes more often here on the ManageWP blog recently. 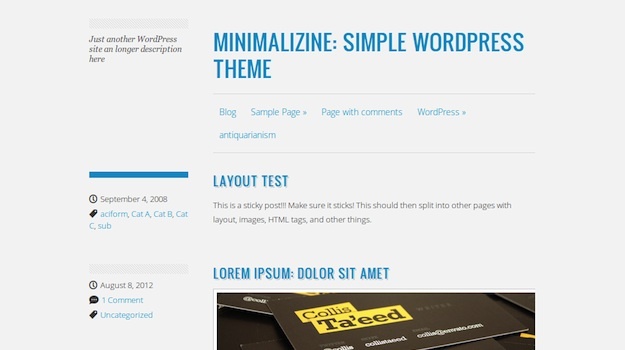 We’ve looked at responsive themes, Pinterest-style themes, personal blog themes, and much more. And of course let’s not forget our themes of the month series, which rolls around regular as clockwork. Put simply, if you’re in need of a quality theme for your WordPress site, we’ve got you covered! With that in mind, I’ve got another awesome selection of five free themes for you today. As always they are all recently updated and highly rated on the WordPress.org themes repository. Enjoy! If you’re looking for a professional-looking and responsive WordPress theme, Gommero is worth checking out. I’m not sure why the theme’s design is quite so narrow, but it does adapt nicely to mobile displays. Furthermore, it has pretty extensive functionality and customization options for a free theme, including different page templates and a built-in contact page. We’ve shown how easy it is to create child themes, so why not use Uridimmu as an experiment in creating your own? This theme is promoted as a parent theme upon which you can build, but I actually rather like the default design. For those who are not experts in HTML and CSS, this could be a great way to break into child theme design. Uridimmu holds up pretty well on its own, but a font tweak here and a color change there can make it truly unique for your site. If on the other hand you’re looking for a good-to-go minimalist theme, look no further than Minimalizine. The responsive design features a complimentary pastel color scheme and a clean layout. There isn’t a great deal more to this theme — as the name suggests, it is a barebones offering. Beyond some widget support and basic theme options, there is little in the way of additional functionality. If you’re looking for something a little different from a business theme, Hero could be for you. Although the design is white on black, it is done in a tasteful manner. As you would expect from a business theme, the design is pretty straightforward, with a slider dominating above the fold and featured spots below. Although GamePress is primarily aimed at the video game reviews market, it could be adapted to suit just about any review site. It has clearly been thoughtfully designed with reviews in mind, with all of the features you would expect (meta data, ratings, etc). Like Hero it is a “dark” theme, so will only suit a certain style of site. However, there is no doubting the quality of GamePress, which is why it gets top spot in this month’s edition. Evolved is a nice, clean and simple wordpress theme. Hi , nice collection, thanks. All great themes, the Hero theme is my personal favourite. ya i like like it too! !